Satcom Global has expanded their sales and engineering capabilities to drive growth of Satcom Global Aura in Europe, as well as support the fulfillment and installation of the high speed VSAT service as the company's global roll-out gathers momentum. Having served the European maritime market with value added voice and data satellite communications solutions for more than 20 years from the UK and Greece, the Satcom Global commercial and engineering teams are being strengthened with a specific focus on business development and supporting the growth of the firm's strong customer base within Benelux and Germany. In addition to reinforcing the sales operation in Europe, Satcom Global operates a multi-skilled in-house team to support marine engineering services and the efficient installation of Aura VSAT, and is now focused on developing engineering capabilities to bring increased value to customers in the region. 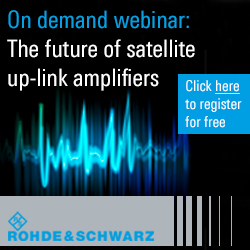 Ports throughout the Netherlands will now enjoy preferential fixed rates for satellite communications installation and commissioning, as well as for a range of manufacturer accredited engineering and maintenance services such as VDR annual performance tests, vessel safety radio surveys and gyro compass and radar servicing. Satcom Global engineers are fully certified to install and support the complete suite of high performance Intellian VSAT terminals approved for Aura VSAT. In addition, a strategic partnership with Intellian provides a dedicated stockholding of hardware in their service and logistics hub in Rotterdam, ensuring fast and seamless distribution to meet customer deadlines and installation requirements. As part of the expansion into Europe, Satcom Global has appointed Robert Heijder as Sales Director to strengthen the commercial team in the region. Based in the Netherlands, Robert brings with him a wealth of experience having worked for leading maritime companies such as Transas, Satmarin and Mach 6 before joining the Satcom Global team. 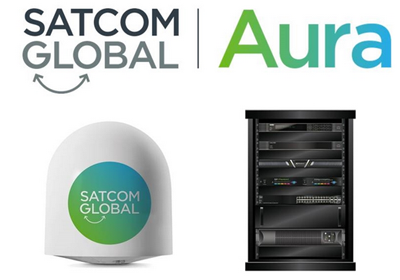 Alex Stewart, Chief Operating Officer at Satcom Global said that Aura is proving to be a highly popular addition to the company's portfolio and is already making an impact in the maritime world attracting some of the largest international ship management companies. By adding to the company's experienced sales force in the region, the new additions will be perfectly placed to support existing customers with their increasing connectivity demands, as well as develop new customer relationships and drive forward the adoption of Aura within Europe.